He’s right, you know. Everybody loves a good donut. 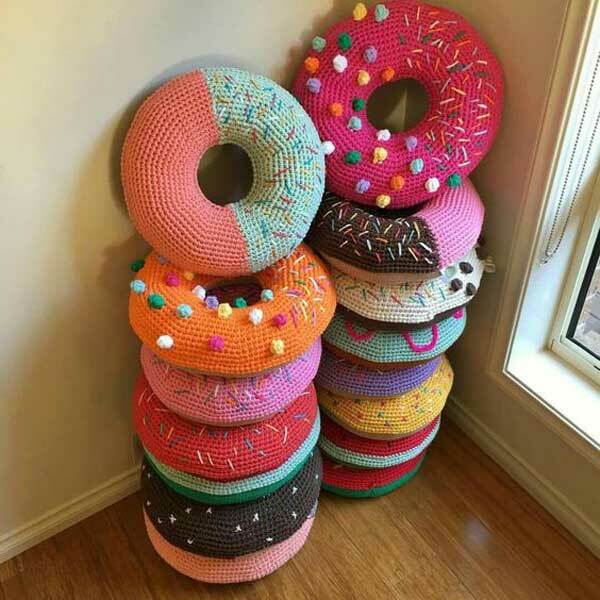 And though you might limit yourself to just one of these delectable treats, you can make yourself an entire baker’s dozen of these crocheted donuts with no feelings of guilt whatsoever! These sweet snacks would be perfect for a little one’s playhouse, but there’s plenty of other things you could use them for, such as pincushions, door stoppers, and centerpieces. You can also decorate them with ribbon, beads, lace, buttons, fabric pens, embroidery, and sequins. It’s up to you how tasty you want these donuts to look! Along with these materials, you’ll need to know the following stitches: chain (ch), stitch (st), slip stitch (sl st), and double crochet (dc), along with fastening off. This pattern is marked “Easy” and is a great way to foray into the world of crochet food and amigurumi projects. Along with the free pattern, there are video tutorials on the page in case you have any difficulties putting your donut(s) together. There are also photos in case you need some inspiration for how to decorate your baked goods with various colors of frosting, sprinkles, or glaze. 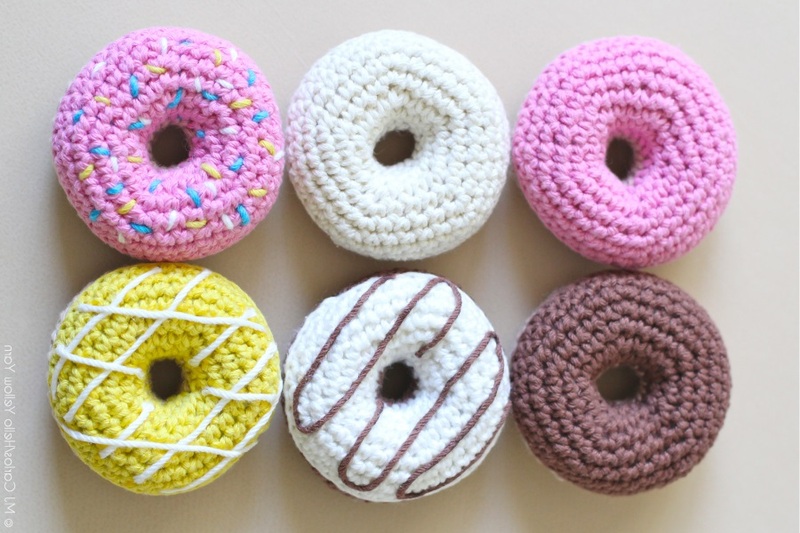 If you’re craving one of these gorgeous treats, you can find the free crochet pattern over at Hello Yellow Yarn. 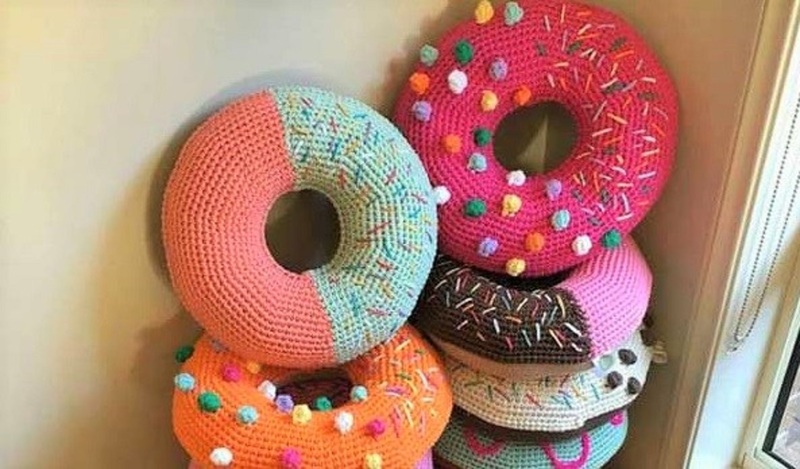 And if you make a donut or multiples using this pattern, Hello Yellow Yarn has a Facebook page and an Instagram and would love to see your creations (be sure to tag your Instragram photo with #helloyellowyarndonut)!